Gabriel remembers the Last Day. He and Mags had been on a tour of the White House with the rest of Miss Kimble’s first-graders when it happened. They fled with the President to a long-abandoned bunker, even as the first of the bombs began to fall. Ten years have passed, and now Gabriel is almost grown. He still lives deep inside the mountain, waiting for the world to thaw. But outside the storms continue to rage, and supplies are running low. The President says it will be okay, because they are the Chosen Ones. But Gabriel isn’t so sure. Gabriel’s their scavenger, and he’s seen what it’s like out there. Then one day Gabriel finds a bloodstained map. The blood’s not a problem, nor are the frozen remains of the person it once belonged to. Gabriel’s used to seeing dead bodies. There’s far worse to be found in any Walmart or Piggly Wiggly you care to wander into. Except this one he recognizes, and it shouldn’t be all the way out here. Now all Gabriel can think is how he’s going to make it back to the bunker and let the President know what he’s found. But Gabriel’s troubles are only just beginning. 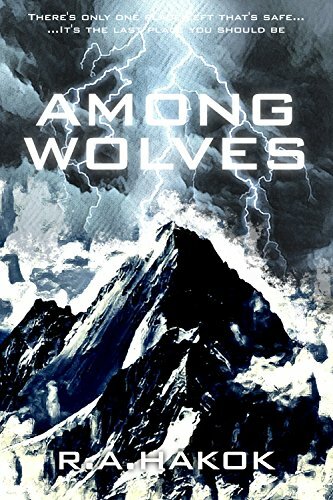 For things are not as they seem inside the mountain, and soon he will face a much larger problem: how to get Mags and the others out.